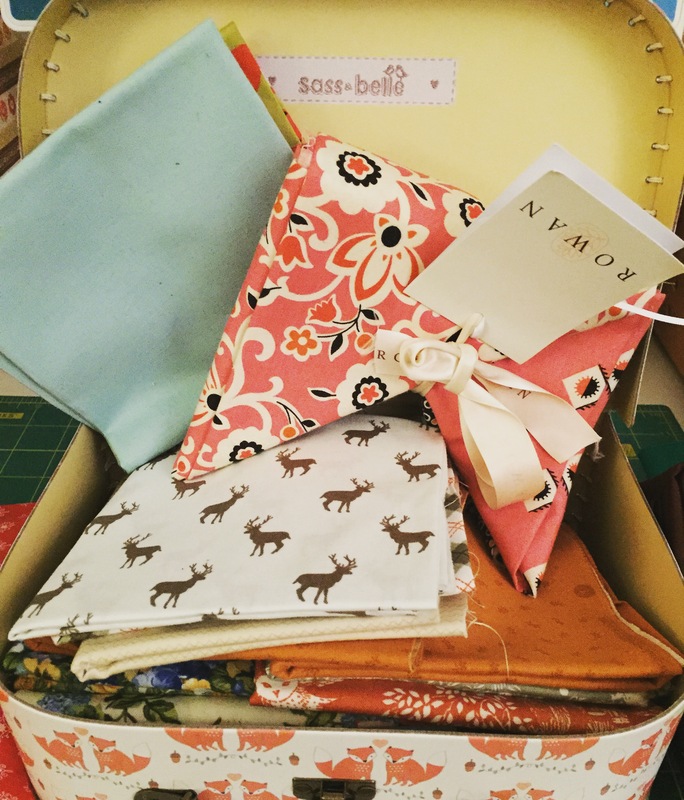 Even I am the first to admit that my love of fat quarters may have gotten a little out of control. I’ve become somewhat of a fat quarter tourist, and if I happen to find a nice bundle on my travels, it must come home with me as a souvenir! I’ve been filling up a little suitcase with them, and have decided that I may as well use them for decorative purposes on display on my craft table! I did, however, receive a fabulous Christmas Gift which should help me enjoy my expansive collection to the maximum! 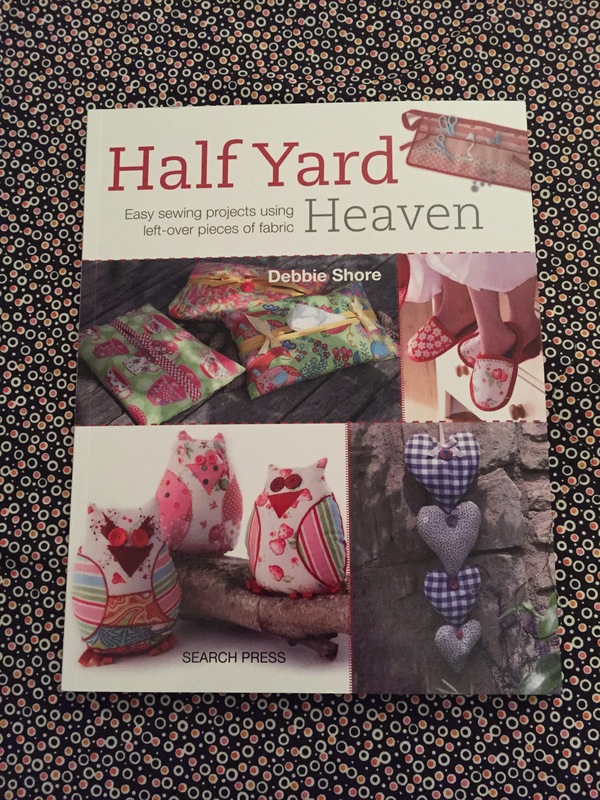 My brother and sister-in-law got me this great book, Half Yard Heaven, by Debbie Shore, for Christmas, and it’s got lots of great projects in it! They are accompanied by lovely pictures and step by step instructions. It’s one of those lovely books to have a flick through when you have the itch to make something from your stash. Nothing needs more than half a yard of fabric, so it’s great for scraps too! 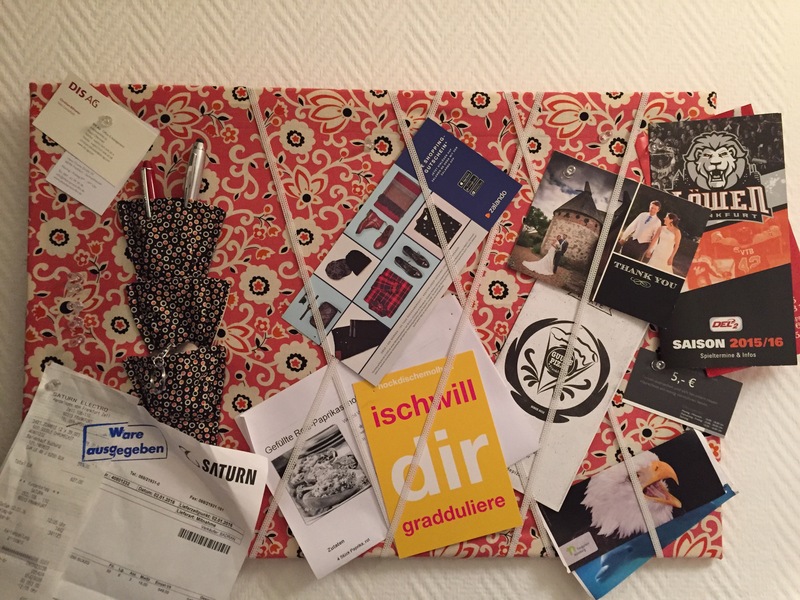 The first project I set my sights on was a fabric covered noticeboard. We’ve had a rather sad looking Ikea cork noticeboard in our hallway ever since we moved in. Prompted by the lovely pictures in Half Yard Heaven I decided it was a prime target for a makeover! 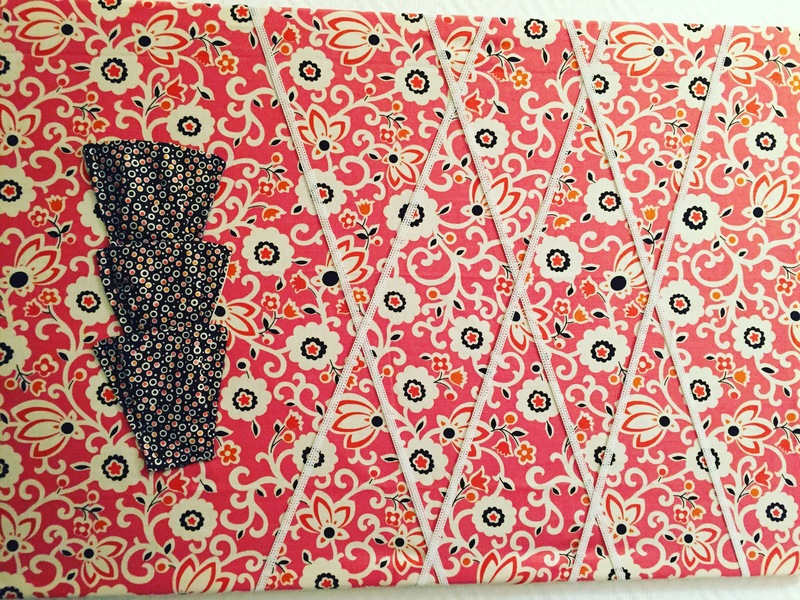 I chose to use my fat quarter bundle from Rowan, which contained a lovely selection of coral and black florals. One coral fat quarter was the perfect size for covering the cork board. I then made three small pockets using a couple of strips from two other fat quarters in the bundle. Despite following the book’s instructions, my pockets turned out quite small, so if I were making one again I would definitely make slightly larger pockets. This was my first time wielding a staple gun, which was a little bit scary. PB ran for cover as I waved it about ominously in our lounge! Stapling in to wood was pretty hard work – but was worth it for the results! I struggled a bit to get the pocket placement straight though. You end up in a vicious circle, as you can only place the pockets straight once the fabric is taught and stapled down, but if you do that, you can’t sew them on! As a result it took a bit of guess work, but for me they are functional enough! I finished the board with some thin elastic which minimises the need for extra pins. Overall I’m pleased with my finished make! It was pretty speedy too. I’m already plotting my next one for my craft room in the new apartment! Aren’t staple guns great – even if they are also slightly scary!? Haha they really are! I’m wondering what else I can staple now hehe!